Today marks both the birthday of the Fiat icon and the 60th anniversary of the famous 500 Jolly Spiaggina, the legendary little car’s first special series and symbol of the “Dolce Vita”. For the dual celebration, the Fiat brand presents the new 500 Spiaggina ’58, the exclusive special series with ultra-chic design touches and a lavish standard outfit. Produced in a limited edition of 1,958 cars, the new Spiaggina ’58 is an authentic cult model that highlights the secret of Fiat 500’s success: its ability to keep growing thanks to the 30 special series’ that have succeeded each other over the last 11 years. Fiat’s second tribute is a delightful video to the notes of the song “Volare”, the ever-popular Italian classic sung by Domenico Modugno at the 1958 Sanremo Festival. To mark the occasion, creative hub Garage Italia and design firm Pininfarina have also produced their own tribute on the basis of the 500C: the irresistible “Spiaggina by Garage Italia” showcar, featuring unique, sophisticated solutions that reinterpret the spirit of those years for today’s world. Summer 1958. A light breeze blows around the coast of Capri, caressing the hulls of the luxurious yachts moored in the harbour. On the quayside, the exclusive 500 Jolly, better known as the “Spiaggina”, awaits its illustrious guests for a journey into the glittering night life of the “Dolce Vita”. Summer 2018. Coinciding with Fiat 500’s birthday, the iconic “Spiaggina” makes an elegant return to Europe’s most famous resorts. 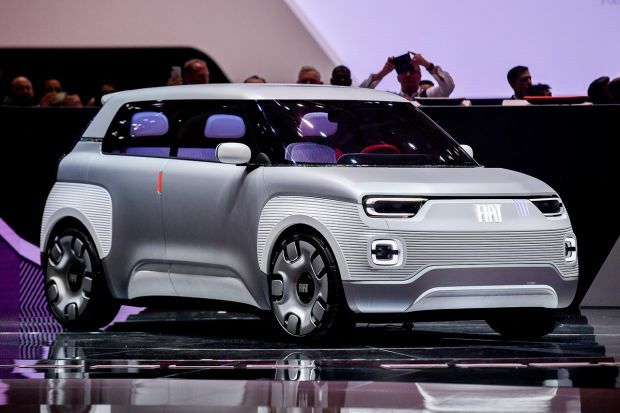 Its new lease of life comes courtesy of the Fiat brand, which presents the new 500 Spiaggina ’58 special series, produced in a limited edition of 1,958 cars – a tribute to the year of the birth of the first “Spiaggina”, with ultra-chic design touches and a lavish standard outfit. This is the first of Fiat’s two tributes to celebrate both the legendary little car’s birthday and the 60th anniversary of its first special series – the unforgettable 500 spiaggina dating from 1958, which became a universally acclaimed symbol of the “Dolce Vita”. By marking these two important dates, Fiat also celebrates the secret of the 500’s eternal youth: its capability to renew itself continually, also through special series, without ever losing its identity. 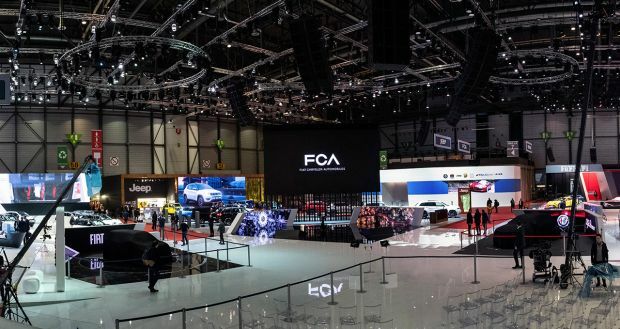 And the Fiat brand has produced a second “present” for these special milestones: a delightful video to the notes of the song “Volare”, the ever-popular Italian classic which also appeared in 1958. Starring, of course, the new 500 Spiaggina ’58. What’s more, two other Italian centres of excellence – creative hub Garage Italia and design firm Pininfarina – have celebrated the dual anniversary by producing the irresistible “Spiaggina by Garage Italia” showcar on the basis of a Fiat 500C, featuring unique, sophisticated solutions that reinterpret those unforgettable years for today’s world. Lapo Elkann, Chairman and Creative Director of Garage Italia: “Love at first sight, the kind that strikes deep into your heart and soul. This what I feel whenever I look at or drive a 500. I fell in love with the car when I was a boy, and as I grew up I was determined to bring it back to life. I am so happy about the model’s relaunch, and hope it will convey the dreams and the magical years of the post-war economic boom and the Italian way of enjoying life. Since 2007, year after year, I’ve always personalised 500s for myself, and the opening of Garage Italia has enabled us to design a multitude of one-off versions, all confirming the versatility and immense contemporary appeal of this vehicle, still one of the world’s best-loved brands. Fiat’s first tribute for the dual anniversary is the new Fiat 500 Spiaggina ’58 special series, produced in a limited edition of 1,958 cars and only available as a convertible, for full enjoyment of the summer weather and the appeal of a historic era indelibly imprinted on all our memories. And as befits a star of the “Dolce Vita”, the new special series “wears” a splendid Volare Blue livery, with beige soft-top, shown off by the white waistrail and the vintage-design 16″ alloy wheels. This exclusive colour scheme is enhanced by other distinctive features, such as the side moulding with 500 logo, the chromed door mirror caps, the vintage logos and the chromed Spiaggina ’58 name, in elegant italic script, on the rear to “sign” the latest Fiat creation. The interior has the same class and elegance, with original and authentic design touches. Starting from the dashboard, in the same Volare Blue colour as the exterior, with a refined two-tone look for the seats, with grey striped base and ivory upper section. The chic interior is completed by specific mats and a steering wheel with vintage logo. The new Spiaggina ’58 special series offers the very best in connectivity technology, since it is equipped as standard with Uconnect 7″ HD LIVE touchscreen radio, Apple CarPlay ready and compatible with Android AutoTM, as well as navigator with Tom Tom maps and DAB digital radio. Also standard are the largest-in-class 7″ TFT display, automatic A/C, rear parking sensors, height-adjustable seats and seat-back pockets. Finally, the 500 Spiaggina ’58 comes with a choice of the 69 HP 1.2 and 85 HP 0.9 TwinAir petrol engines, both with the latest Euro6D rating. The 500 Spiaggina ’58 special series is another addition to the Fiat 500 collection, which comprises an impressive number of special editions, issued in succession over the last 11 years. Fittingly so, since Fiat 500 has always been a trendsetter which, while remaining true to itself, has been re-interpreted over time, linking its name to iconic brands from the worlds of fashion, luxury yachts, arts and sport, in truly unique versions that have explored unusual territories for a city car. Important examples include the stylish Diesel, Gucci and GQ editions and the recent Collezione in the world of fashion, the amazing Riva and Abarth Rivale evoking luxury yachts, the original Anniversario and 560 series celebrating the model’s great forebear, and finally the 500 Mirror, with top-end connectivity for the millennial lifestyle. And today it is the turn of the splendid 500 Spiaggina ’58 to continue the story of the Fiat icon. Launched in 1957 and established over the years as the symbol of mass car ownership in Italy, Fiat 500 was reborn in 2007 with the debut of the new model, soon to become a global phenomenon. Its success is demonstrated by over 2 million cars sold in more than 100 countries worldwide, with over 80% of sales volumes achieved on the export market. A success that has made the 500* number 1 in Europe in its segment since 2013. This status has been confirmed during the first five months of 2018, with leadership on 10 markets (UK, Spain, Belgium, Switzerland, Portugal, Austria, Slovenia, Hungary, Bulgaria and Croatia) and a top-3 placing in 6 other countries (Italy, Germany, France, Sweden, Slovakia and Romania). 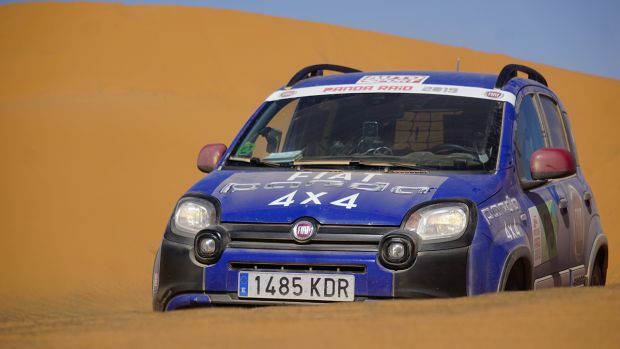 The model’s growth shows no sign of abating, since, also in the first five months of 2018 and in its eleventh year, the 500 once again broke its own records, with more than 93,000 cars sold in Europe, making these its best ever five months. Just a year after its launch on 4 July 1957, the Fiat 500 became a real cult object with the debut of its first special series: the 500 Jolly, better known as “Spiaggina”, or “beach buggy”. Built by Carrozzeria Ghia and based on the Fiat 500, and later also on the Giardiniera version, this exclusive car was produced from 1958 to 1965 and sold in Europe, the United States and even South Africa. Costing twice the price of the normal version, the special seaside version found favour with the most influential personalities of the age – including shipping magnate Aristotle Onassis and actor Yul Brynner – who chose it as a “land tender” for their yachts or as a golf car on their country estates. A 500 Jolly can even be admired in the personal car collection of President Lyndon B. Johnson. One of its distinctive features was the absence of doors – slender chains were not introduced until around 1965 – although the most innovative aspect of its design was inclusion of the chromed rails in the sides and along the top of the bodywork, supporting the sunshade-canopy. Equipped with the 22 HP air-cooled two-cylinder engine, the 500 Jolly had a top speed of 105 km/h. Fiat’s second tribute is a delightful video which pays homage to three greatly loved, world-famous Italian excellences: the emblematic Fiat 500, the unforgettable song “Volare” and the beautiful southern Italian coast. The video shows the new Fiat 500 Spiaggina ’58 kissed by the sun and the warm summer wind, driving along the Italian coast, renowned for its crystal clear water, long sandy beaches and dramatic cliffs. The car’s seductive passage is accompanied by the notes of the most famous of all Italian songs: “Nel blu dipinto di blu”, also known as “Volare” first sung by Domenico Modugno at the 1958 Sanremo Festival. The song is performed by a group of young musicians with a small girl singer, giving an even stronger emotional charge to the coming-together of these three symbols of “Italian Beauty”, their power unconfined by time, borders or cultures. The video was produced by creative agency, Leo Burnett. Fun and carefree, these are the feelings conveyed by the Spiaggina by Garage Italia showcar at first glance. This is achieved thanks to its typical summer colours, Volare Blue and Perla White, which distinguish the two-tone livery of the body with Garage blue finishes and matching interior upholstery. The roof, juts like the traditional ’60s Spiaggina, has been removed and the rear passenger space has been transformed into a generous compartment with a built-in “shower” to take all your beach essentials with you. This modification was possible thanks to the support of Pininfarina technicians, who assisted Garage Italia staff in the design of the structural reinforcement work, such as the rear roll-bar, to ensure the chassis was rigid enough. The two front seats have been replaced by a tailor-made bench to reflect the typical design of 1960s cars, embellished by the blue and white Foglizzo Leather upholstery, with waterproof treatment. Last but by no means least, the chrome trim on handles, door mirrors and hubcaps on the new Fiat 500 Vintage 1957 alloy wheel rims all contribute to making the Spiaggina by Garage Italia sparkle under the sun. From showcar to production, there won’t be much longer to wait. 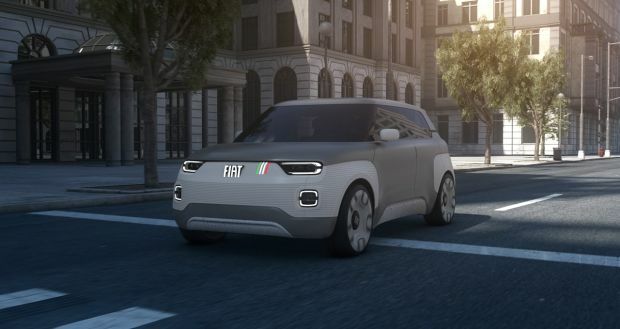 The car can be ordered and customised with all the customisations featured on the one-off by Garage Italia, which offers the possibility of replacing the front windscreen as standard with a low nautical-type deflector like the one fitted on the showcar. 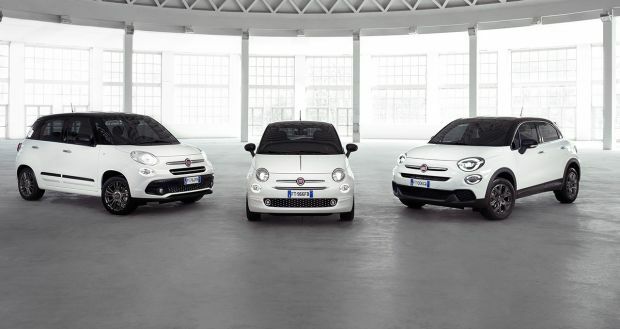 The production car can be equipped with any of the engine versions currently available on the Fiat 500 range. 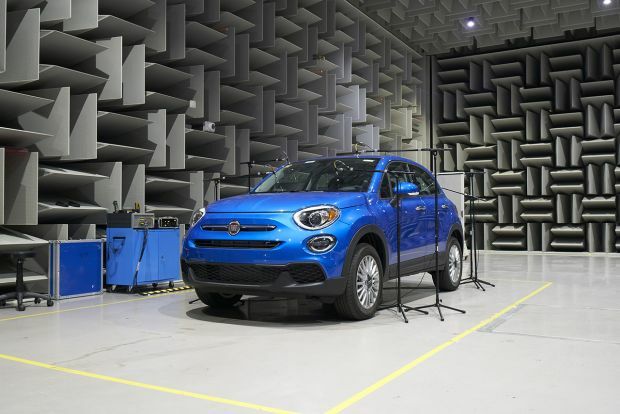 Further information is available on the Fiat website, from any authorised Fiat dealer or from Garage Italia directly.